Kenton was a huge success as a speaker at our conference. His delivery is engaging, uplifting, and impactful. His journey to help others is inspirational for all. Kenton Lee, creator of The Shoe That Grows” teaches an idea he calls Practical Compassion – the Small Things that make a Big Difference and like the best teachers, he leads by example. In his case, immediately after graduating college he traveled to Africa and while working there in a small orphanage of 140 kids, he noticed that those kids either had no shoes or had shoes that we’re old, tattered and simply didn’t fit anymore. One day he was walking on a hot, dusty road and noticed a girl wearing a white dress with her feet sticking out of her shoes. He just couldn’t get that image out of his head and when he came back home to Nampa, Idaho he started working on a shoe that could grow along with the pace of a child’s foot. He knew nothing about shoes, about inventing, manufacturing or design, yet five years later ‘the shoe the grows”, a shoe capable of lasting five years as it adjusts up to five larger sizes, became a reality. We take shoes for granted but in villages with rampant disease, protecting your feet isn’t just important, it’s essential. In some villages, having shoes can make or break whether a child is even allowed to attend school, as many have requirements that the students wear shoes. 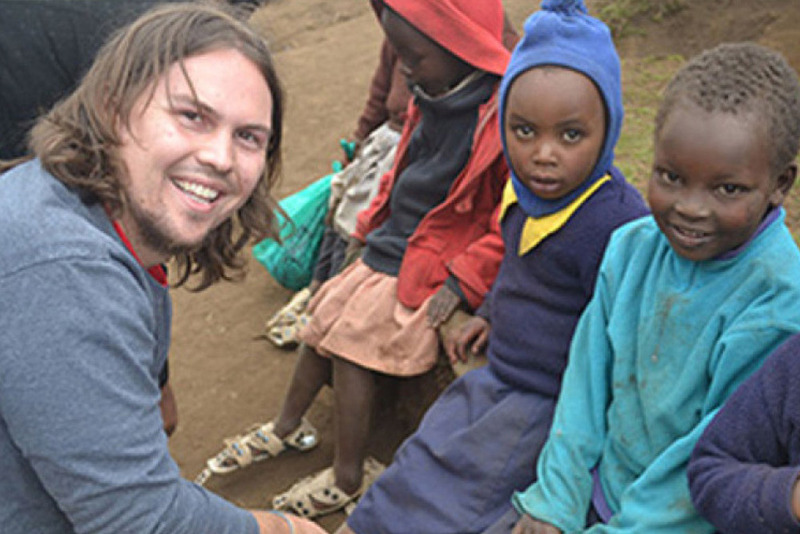 Kenton took an idea of a shoe that can adjust and expand as a child’s foot grows and created a shoe that protects the feet of kids living in dirty and dangerous places; helping keep them healthy, making it easier for them to go to schools and simply just giving them the dignity of having a pair of shoes that fit. Even more, he’s raised the funds and donated over 100,000 pairs of shoes to kids in 89 countries and counting. Practical Compassion – the Small Things that make a Big Difference. In Kenton’s inspiring keynote speech, he’ll introduce you others who have adopted Practical Compassion, like a 9 year old girl who started a lemonade stand in in order to make money to try to help two brothers who were victims of child slavery. When word spread about what she was doing and why she was doing it, she started getting press and then the donations started rolling in. By the end of the Summer, that same girl had collected over a million dollars that she donated to groups around the world focused on ending child slavery. As Kenton reminds us, you don’t need a doctorate to make a difference. Let's check Kenton Lee for our meeting!